The last time I saw Maestro Vladimir Ashkenazy perform in Hong Kong was many years ago, a piano recital at the Hong Kong Cultural Centre. We sat above the stage so that we could see his fingers on the keyboard, but I can't remember what the program was. I just thought it was amazing that he was still playing so well at his age. And now he's 80 years old and back, this time conducting the Hong Kong Philharmonic in a program that includes talented violinist Esther Yoo, a Korean-American who is only 23. It's a pity for the second concert on a Saturday night (tonight) that the seats were barely half full, but that meant a quieter audience in general. 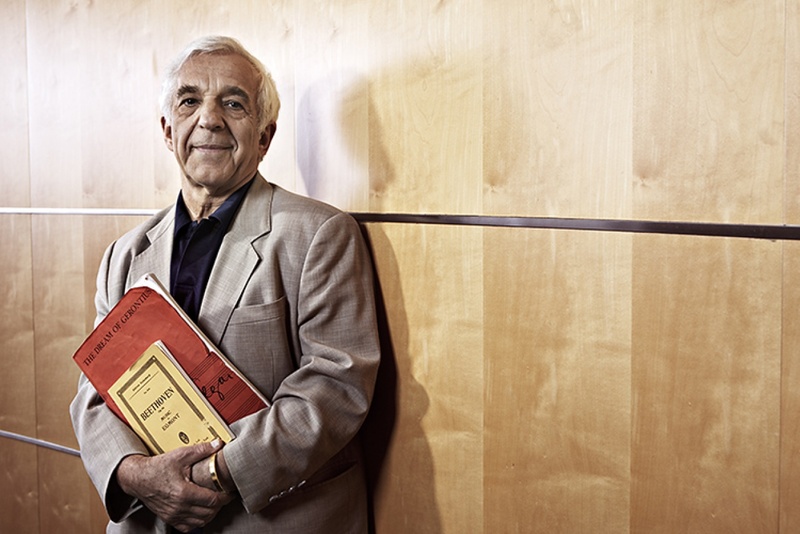 When Ashkenazy came out, he wore his usual jacket with a white turtleneck shirt underneath. And he just wanted to get the program started with right away, beginning with Russian composer Alexander Glazunov's Chopiniana, a delightful, accessible piece, and the conductor kept the orchestra in military precision. 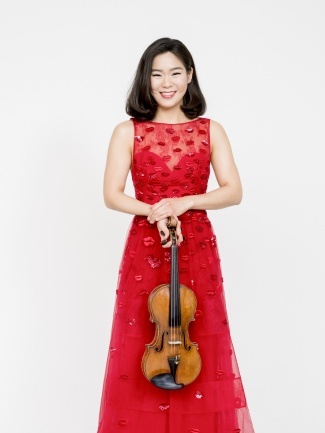 Next Yoo came out in a bright red sparkly dress to perform Glazunov's Violin Concerto, just over 20 minutes that was definitely a vehicle to show off the violinist's talents, from playing chords to plucking, soft to loud. She had her eyes closed for most of the performance, setting the pace and enjoying herself on stage. In reading her biography, the Korean-American was born in the US and raised in Europe since the age of six. She picked up the violin when she was four and made her first concert debut at eight. Talk about young talent. 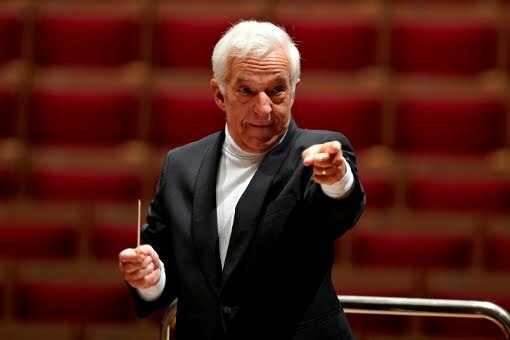 After the piece was over, Ashkenazy put his baton between his teeth to clap for her and then made an action like playing the violin so he could leave the stage. She performed an encore, saying she was thrilled to be back in Hong Kong. Finally after an intermission, Ashkenazy was back to conduct Beethoven's Symphony no. 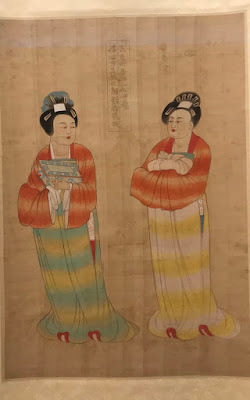 6, Pastoral. It definitely evokes pastoral scenes of idyllic rolling hills, flocks of sheep grazing and young lovers having a budding romance. The five movements seemed to be compressed into three, as Ashkenazy didn't want to waste time with formalities. The drama began to build in the third movement onwards with the wind section holding their own. And soon it was all over, and the Maestro went around shaking the musicians' hands.